TheBrain Technologies, the leading provider of dynamic visualization and knowledge management software, announced TheBrain for iOS, available worldwide on the App store, was selected as a Trend-Setting Product of 2014 by KMWorld Magazine. “TheBrain for iOS was selected because it combines the best of note taking, file synchronization and mind mapping apps to give users a rich knowledge management tool on their iPhone and iPad” said Hugh McKellar, Editor and Chief of KMWorld Magazine. More than 650 offerings from vendors were assessed by the KMWorld judging panel, which consists of editorial colleagues, analysts, system integrators, vendors themselves, line-of-business managers and users. All products selected demonstrate clearly identifiable technology breakthroughs that serve the vendors’ full spectrum of constituencies, especially their customers. 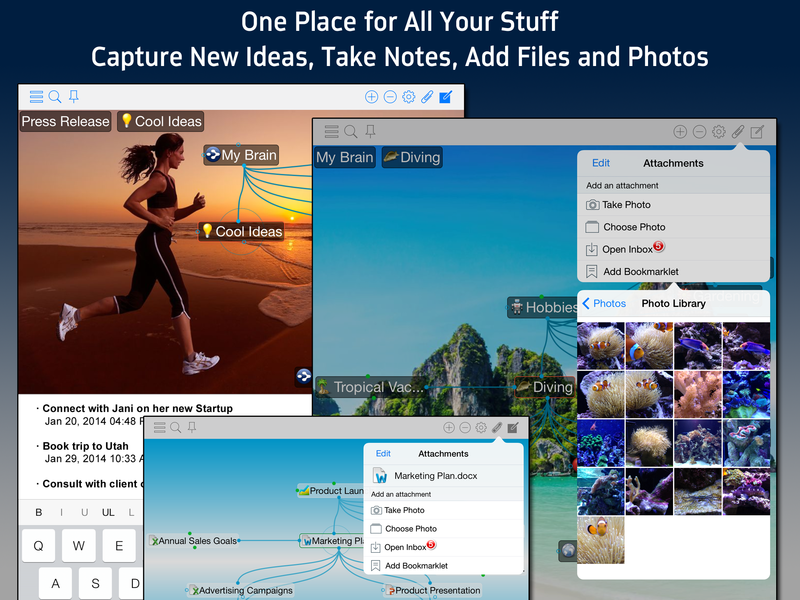 TheBrain for iOS works with TheBrain desktop application and users’ cloud accounts providing universal access to ideas, notes, files and how they are connected. TheBrain for iOS is a native app so users can create new Brains, add new Thoughts, as well as take notes, link web pages, and attach photos right from their iPhone and iPad. 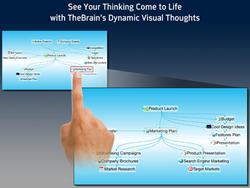 TheBrain Technologies helps people see, share and find information faster. 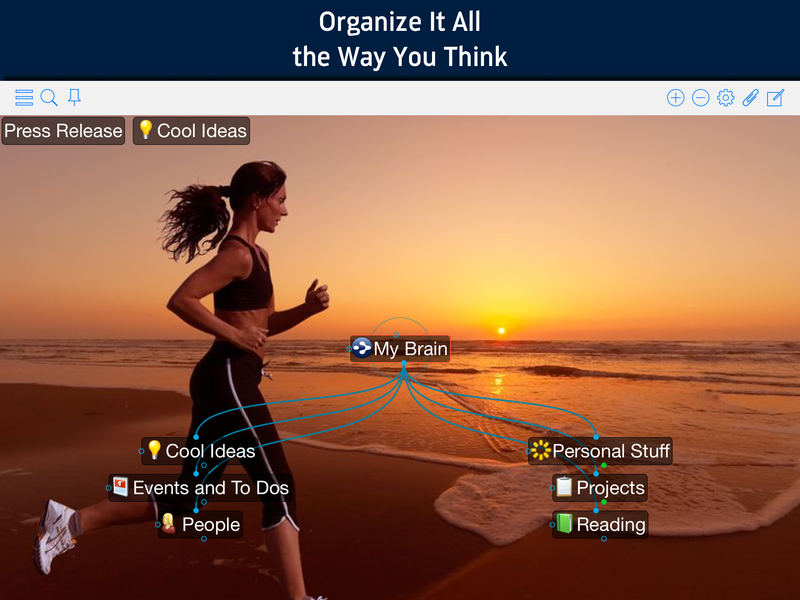 TheBrain software helps organize and capture ideas, projects and information on the desktop, in the cloud, and in the mind’s eye. Download TheBrain 8 at http://www.thebrain.com and TheBrain for iOS at http://itunes.com/app/TheBrainForiOS to visualize thinking or e-mail info(at)thebrain(dot)com for more information.